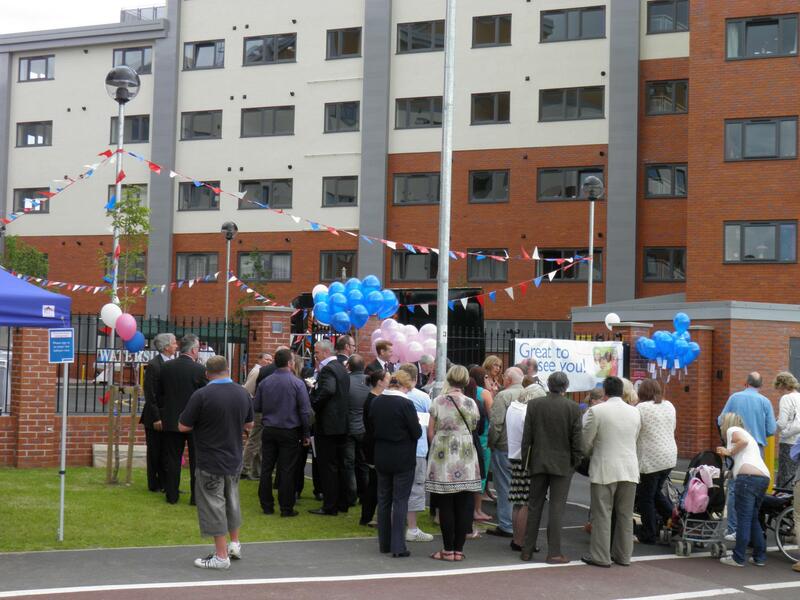 On arrival we were taken back by the efforts undertaken to give the opening a street party atmosphere. 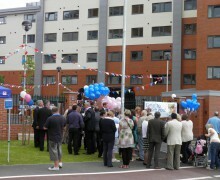 There was live music, hog roast, ice cream and community games (not to mention the delicious tea & cakes!). Some big names were present for the opening including Jeremy Browne, MP for Taunton Deane (loves the liquorice and peppermint), Councillor John Williams, Leader of Taunton Deane Borough Council, and Jane Barrie OBE, Deputy Lord Lieutenant of Somerset. The Waterside House project is part of the wider regeneration of a derelict site in Taunton. It is a focal point in the area and the development has brought in new residents to reclaim a lost part of the town, which had been brownfield wasteland for years.